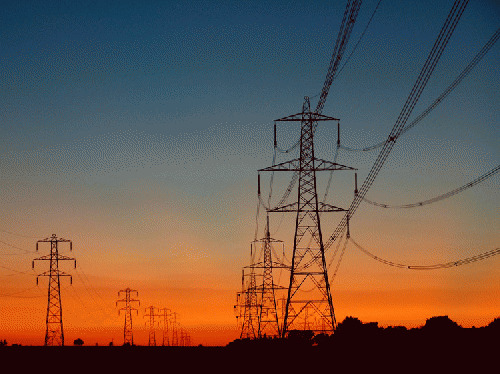 Discoms' power-cut 'threat' to Delhi and the AAP - 'Too big to fail' has arrived in India? The latest turbulence caused by BSES, one of Delhi's private power-distribution companies (discoms), appears to be a curtain-raiser to oncoming political battles surrounding the new AAP government. According to news sources, BSES is warning Delhi-ites of extensive power cuts because the company has large financial arrears to its suppliers. The timing of this new development is circumspect, given the crusade against these companies started just a few weeks back with CAG audits initiated by the CM Arvind Kejriwal. After a couple of failed attempts to stop the audit, there has been news reports of discoms resisting the audit process. Nonetheless, this latest move by BSES may have significant political and policy implications to the fledgling Aam Aadmi Party (AAP) government, which till now has been navigating through quite a few landmines. Friction between Delhi's discoms and its consumers is not a novel phenomenon. Discontent about lack of transparency in the distributors' operation, allegations of political nexus and corruption, have been talking poins during the previous Sheila Dixit government as well. Arvind Kejriwal projected this as one of the main election issues, even forcing the BJP to discuss reduced power tariffs as part of their manifesto. Consistent with his pre-election rhetoric, Kejriwal promptly ordered the CAG audit, which in the AAP's view was the first step in bringing transparency and hopefully fairer pricing of power. The uneasy situation with power companies in Delhi may be labelled politically whipped-up, or it could be argued as a case of privatization of public goods gone awry. Touting reduced power theft as the hallmark of privatization in Delhi, the previous Congress government neither resolved the operational opacity of these entities nor had the inclination to create a free-market environment and lower the barriers for more competitors. Consequently, Delhi has monopolized power business today that neither seeks to increase public welfare nor operates according to fair-market parameters. Simply put, discoms are entities created out of bad components in public and private controls over business. With this contextual information, we could characterize this 'power-cut' warning by the discoms as a derivative of the 'too-big-to-fail' argument, usually heard in self-confessed capitalist economies like the U.S. 'Too big to fail' is used to imply imminent large-scale loss of employment due to large private companies' existential crises, and hence the need to be saved. Governments respond to such corporate wails with bail-outs and concessions, downplaying the apparent licentiousness of using tax-payer money to scaffold private financial insolvency. By asking the Delhi government to extend loans in order to prevent black-outs, discoms seem to be taking a similar route. While jobs are usually taken hostage in corporate bailouts, a public resource such as power is being used by the discoms to funnel tax revenue to cover their losses. Preaching or practicing large-scale corporate bailouts in a budget-strained developing country like India sets a poor precedence, both politically and economically. Such concessions would empower corporations to gamble with their capital and unfairly transfer risks onto the common man. In this current case, neither are these regional distribution companies 'too big to fail' nor is power a strictly private property to be held hostage. Anyhow, political rivals may use this opportunity to continue their slander on the AAP given the proximity to general elections. Also, a section of commentators may attempt to paint Kejriwal as a communist and anti-business. Kejriwal however would do well to sweat this standoff out rather than succumb to unreasonable, unsustainable bailout demands. Private players are necessary and desirable to sustain healthy investment levels in any economy. While encouraging higher participation of private sector in public goods' distribution, state governments need to sensitize and enforce corporations' responsibility on operational and financial risks in their businesses that come along with profits. Privatization of public goods trades off social welfare and equity for efficiency, at least partially. From a government's perspective, the net value of this trade-off will be positive only as long as these corporations maintain their integrity and business ethics. If discoms are forced to cut power because they have no cash to pay their suppliers, they should question their reason to be in business as much as consumers in Delhi. Media hypocrisy on the Somnath Bharti incident - Forgetting that India is racist. With itself.